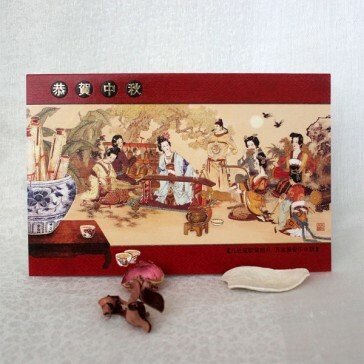 Each order contains 10 piece of Chinese Moon Festival greeting cards. On the cards are ancient Chinese beauties on a musical performance under the full moon. 5.6" X 8.5" (14.3cm X 21.6cm), folded paper cards, envelopes included.